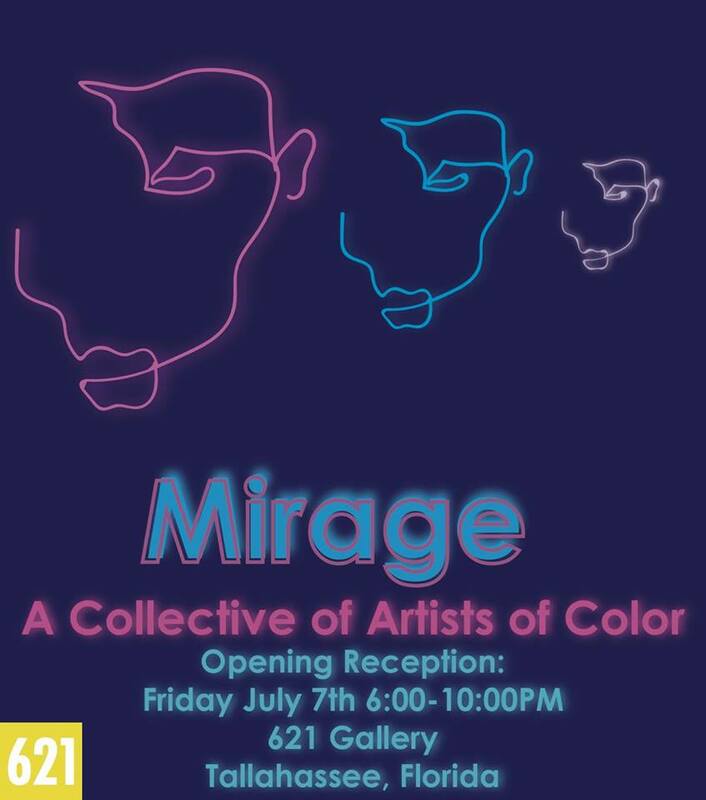 621 Gallery will be hosting Mirage: A Collective of Artists of Color, a one night pop-up exhibition during July First Friday in Railroad Square, July 7th. A night of visual art, performance, and spoken word. This event coincides with Submersive Sounds Hip Hop Night in the 621 Annex. Please join the gallery from 6:00PM to 10:00PM on July 7th for this one night only event.